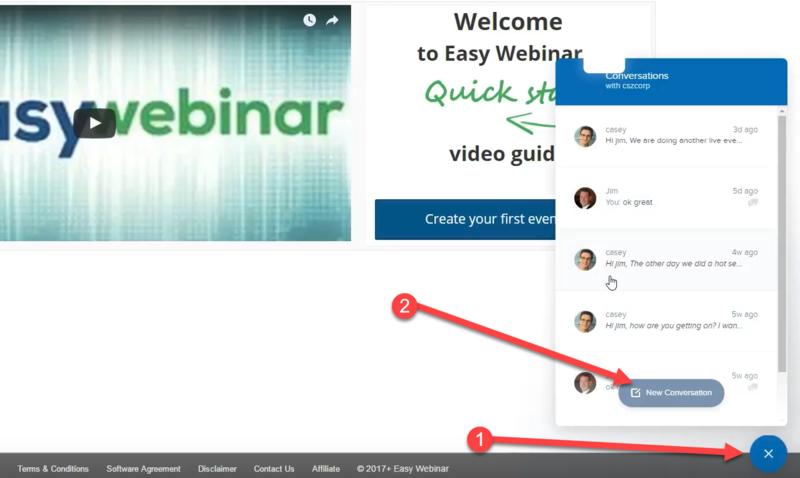 Live Chat on every page inside EasyWebinar. Do you have a question that needs an answer. We are here for you and are only a click or 2 away. As seen below #1 click on the icon in lower right portion of your screen while logged into your account. The #2 start a conversation and ask away. We answer them as quickly as we can and in the order they are received. If we are on the line with another customer or in a meeting please leave a message. All messages are sent as text immediately to our support desk.